Draperies come in many styles and it is usually the top heading style that can change the look and feeling of the drapery. The traditional three finger pinch pleat is a classic pleat that provides the best stacking for large windows that needs to be stacked off on the wall to maintain the view out the window. The French pleated drapery is great for stationary side panels as it is a bit more of a casual look for some decors. Draperies can be unlined with open weave fabrics for a more open casual look or lined in a light filtering fabric for light control in a living room or dinning room. Also, the lining can be in a room darkening fabric for a bedroom. 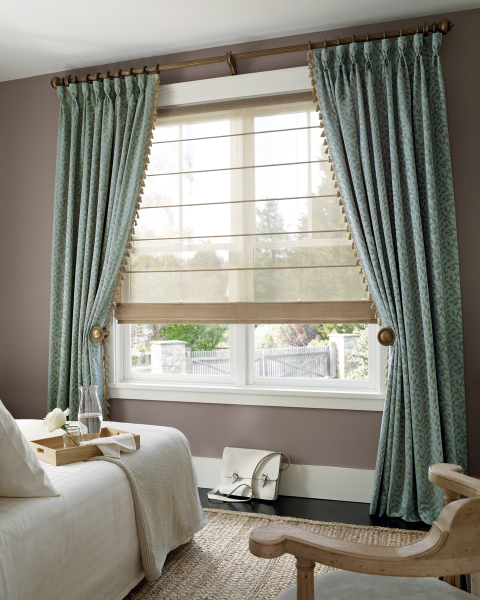 Custom Draperies come in a variety of fabric colors and styles making draperies a great solution for any window. Pillows can come in various styles and sizes to help coordinate with draperies, furniture, and to help tie together any decor. Tiebacks add that traditonal touch to match any drapery stationary panels to help complement any room style. Placemats & T able runners can add the fabric coordination often needed to complete a room's decor. Custom Bedding comes in any choice of fabrics and styles which include bedspreads, comforters, dust ruffles, daybed covers, duvet covers, pillow shams, and headborards. Extra's such as trims, bandings, nail heads etc. can be added to the bedding items to give that special detailed finish. Cornice Boxes can be used in both traditional or contemporary designs. They are created with wood, then padded and covered in array of different fabrics to compliment any room's decor. 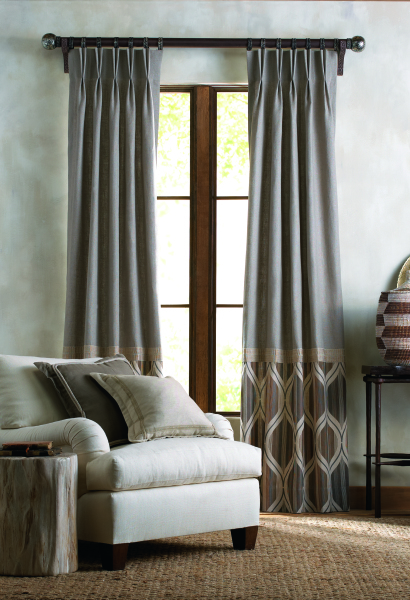 Contrasting trim, and banding can be added giving this style detail to tie together all the colors in the room. Top Treatment valances come in an array of styles and shapes all in the fabrics of your choice to help give that finishing touch to any window in your home. 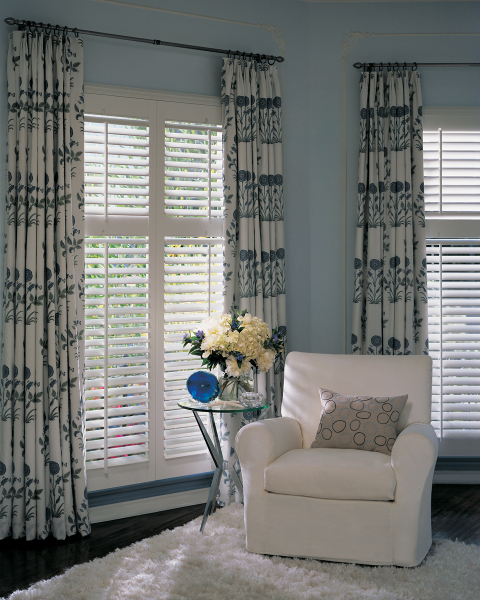 Contrasting trim or banding can be added for that finishing detail to bring out all the colors in the room design. Top Treatments can also hide a blind or shade under the valance that can be pulled up and out of sight when you don't need them.